Chicago's own Bernie Mac passed away at Northwestern Memorial hospital early this morning, as reported by Sun-Times columnist, Stella Foster. He was just 50. Mac had been hospitalized for pneumonia since August 1. Just the other day, a spokeswoman for the actor said that Mac had been responding to treatment for the illness, and his condition had been listed as stable. The pneumonia was said to be unrelated to Mac's sarcoidosis, an inflammatory lung disease that had been in remission since 2005. Last month, Mac made controversial jokes at a California fundraiser for Barack Obama. 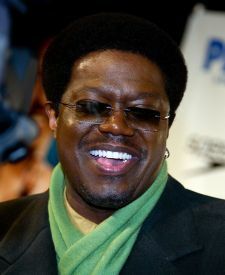 The comedian was the star of FOX's ''The Bernie Mac Show,'' and he appeared in the "Ocean's Eleven" films. He will appear in several upcoming films, including "Madagascar: Escape 2 Africa," and "Soul Men." Bernie Mac is survived by his wife Rhonda, a daughter and one grandchild. Services are pending.